In late 2013, Kauailabs released the nav6 Open Source Inertial Measurement Unit, providing high-accuracy measures of pose (yaw/pitch/roll), with minimal yaw drift of ~1 degree per minute – performance far exceeding the analog gyro included in the FRC Kit of Parts. nav6 was used by several teams at the 2014 FIRST Championships for features including field-oriented drive. Now, Kauailabs announces the navX MXP Robotics Navigation Sensor, which takes nav6 technology to the next level in two significant ways. First, navX MXP was designed to use the RoboRIO MXP Expansion Connector – enabling plug-n-play installation on the National Instruments RoboRIO, and adding digital, analog I/O and UART / SPI / I2C port expansion. Second, navX MXP features a 32-bit ARM processor, the new Invensense MPU-9250 sensor system-on-chip, and software algorithms which take nav6 technology to the next level, including enhanced sensor calibration and algorithms which fuse gyro, accelerometer and magnetometer data into a “9-axis heading”. The “9-axis heading” is enabled by magnetometer calibration tools (available online at no cost) and magnetometer disturbance detection and data fusion algorithms. This capability is known within the aerospace industry as an “Attitude/Heading Reference System” (AHRS). Kauailabs brings this high-tech AHRS capability to FIRST FRC teams – to use, learn and explore. 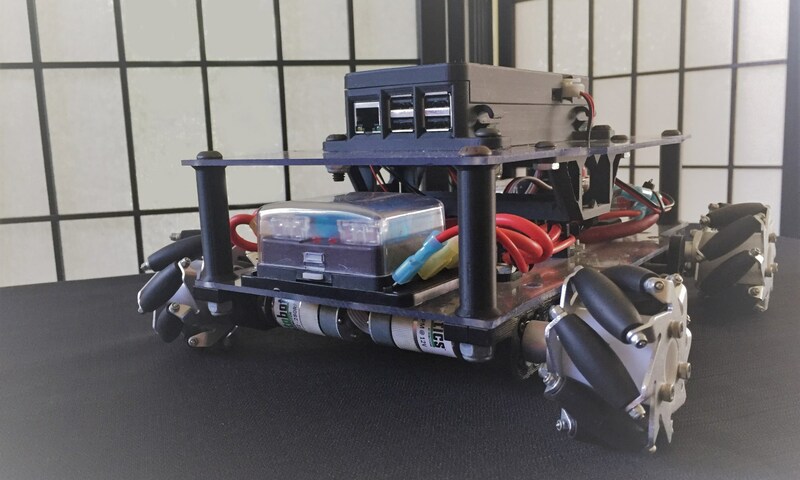 navX MXP is a key component of Kauailabs’ ongoing efforts to make state-of-the-art navigation technologies used in autonomous vehicles (e.g., the Google Car) available to robotics students and enthusiasts as low-cost, open-source products. navX MXP will be available for puchase online a few days after the 2015 FIRST FRC build season kickoff at AndyMark and Kauailabs. MSRP is $99. More details available at navX-MXP Online.